It’s Here!! 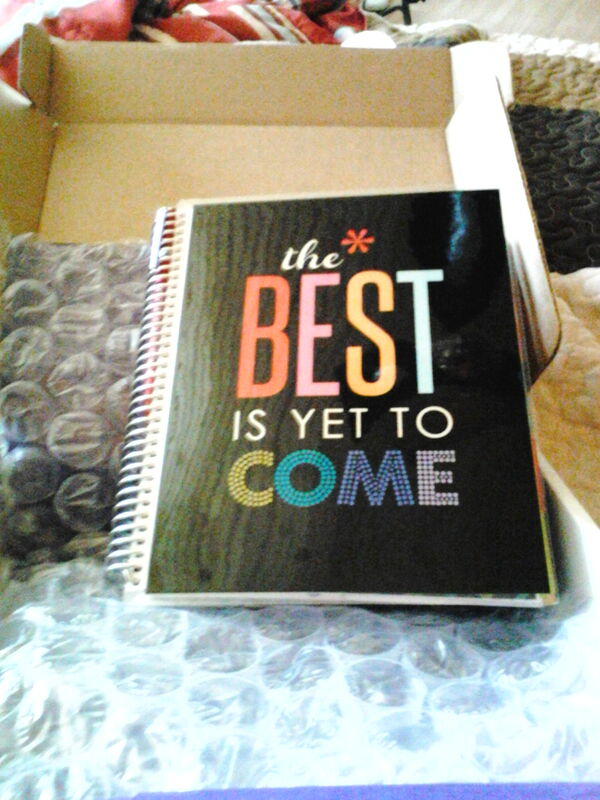 My Erin Condren Life Planner!! I found this planner while reading http://www.hello subscription.com. I love writing and I really love journals and planners, so I knew I had to order one. It came in today. Along with the stickers, markers and to do insert that I just HAD to have. It was worth every penny. I’ve been playing with it all day. I have already entered all the birthdays (they include a LOT of birthday stickers and I used just about every one! ), car shows, Dr appointments and sleepovers. All in different colors of course. Kinda looks like a rainbow threw up on the pages!! I will be writing in this all week. Maybe (probably not), I’ll even become meticulously organized. OK, those of you who know me can pick yourselves up off the floor and quit laughing now! !